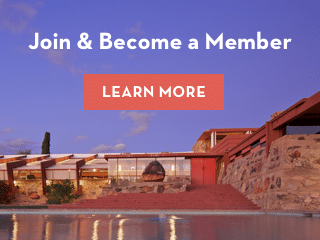 Sign up with us to stay informed about how we are celebrating Frank Lloyd Wright’s powerful legacy for the 150th anniversary of his birth. As we celebrate the 150th anniversary of Frank Lloyd Wright’s birth, we examine how his ideas are shaping our future. Wright’s life was dedicated to the creation of sustainable design, and to honor this milestone year, we continue our dedication to the preservation and thoughtful sharing of his work, so that his legacy of innovation will continue through the lives of others. Celebrate Frank Lloyd Wright’s 150th. Enter a location to find an event near you.